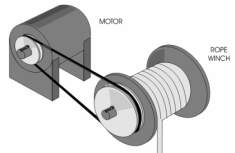 WinchTools is a simply software which calculates some usefull data about winch and pulley system. It is basically designed for cranes. 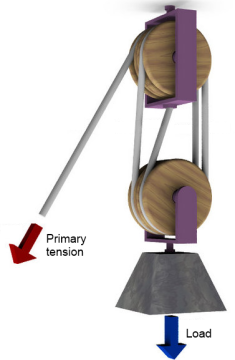 The number of strand (on the pulley system) increases the maximun load but reduces the speed. The tension is uniform in the rope. Note : the maximun load of the hook is the maximun weight that the winch can lift, but be aware that this weight causes a high torque on the superstructure of your machine, especially if you have a long boom or jib (in case of cranes).